Scholarship Applications for 2019 are now available - Deadline is April 1st! 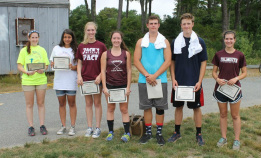 Since 2012, Jack's PACT has awarded over $50,000 in scholarships to help dozens of high school seniors from Falmouth pursue their goals after high school, whether it be studying at a 4-year university or volunteering oversees. These funds are raised at our Annual Run Jack Run Family Fun Run/Walk each 4th of July. 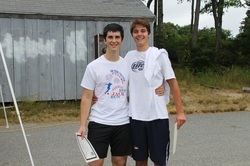 Our scholarship recipients and alumni take their JP pledges seriously and many continue their work with Jack's PACT well after their high school graduation. 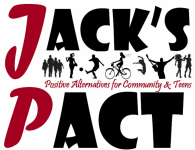 JACK'S PACT SCHOLARSHIP - for those who have signed Jack's PACT and committed to their pledge not to drive while under the influence; and demonstrate being a positive role model, leader, and/or have strong beliefs about being substance-free. Demonstrating your "Jack's PACT spirit" is what sets applicants apart from other students. Applicants do not have to be heading to college in the fall; they may be pursuing an internship, job opportunity, volunteering, traveling, or some form of self discovery. To be eligible, applicants must have volunteered with Jack's PACT and/or participated in Run Jack Run. JACK PEARSALL MEMORIAL SOCCER SCHOLARSHIP - for passionate soccer players who demonstrate how they have been impacted by the sport. This honors Jack's great passion for soccer and the hard work and time he devoted to it. Applicants do not have to be heading to college in the fall; they may be pursuing an internship, job opportunity, volunteering, traveling, or some form of self discovery. To be eligible, applicants must have volunteered with Jack's PACT and/or participated in Run Jack Run. They must have already signed Jack's PACT pledging not to drive while under the influence of drugs or alcohol and have remained committed to upholding this pledge. PATTI PORTER MEMORIAL SCHOLARSHIP This scholarship was created in memory of Patti Porter, our dear friend and Jack's PACT volunteer, with thoughtful memorial donations from family and friends made in her name. Patti was an inspiration to so many! Jack’s PACT mission and events always paralleled perfectly with Patti’s passion for working with and helping kids, recovery and healthy lifestyles, and truly enjoying this community and life. This scholarship is for a student who has signed Jack's PACT and is committed to their pledge not to drive while under the influence; volunteered with Jack's PACT; and also has a passion working with or helping children OR an interest in the arts or crafting as Patti did.